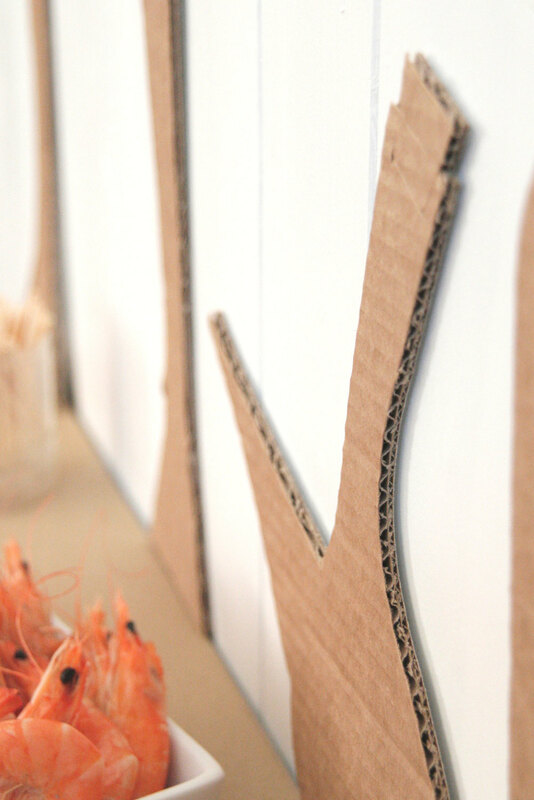 BYOD is a project that aims to share knowledge exploring the relationship in between consumer, designer and market. The Barcelona template for the camera is 3d printed and you can download the 3d file here for free, If you do so, a return thanks picture of your final object will be very appreciate ;) You can also get your 3d from here or even the full assembled MEMOscope Supercolor Polaroid Camera here. A well-established part of Spanish culture, bars and tapas account for one or more moments in the working day of many people, and for some they are almost seen as a home. In its social function a bar is responsible for providing users with suitable conditions for talking, eating, drinking and other entertainment, and is a vital and indispensable meeting place in our lives. Bar marina68 is a set of cardboard stickers representing the most recognizable elements of a typical Spanish bar. Getting your friends a drink, having a drink yourself, chatting and so forth in your comfy living room is a fun way of getting things going in the home and a great excuse for it! ID Magazine from New York invited Surtido to participate in a project for its special issue on Spanish design. The idea is to choose an object everyday Spanish, or just something we have in our home and we must, and do a redesign of the same. 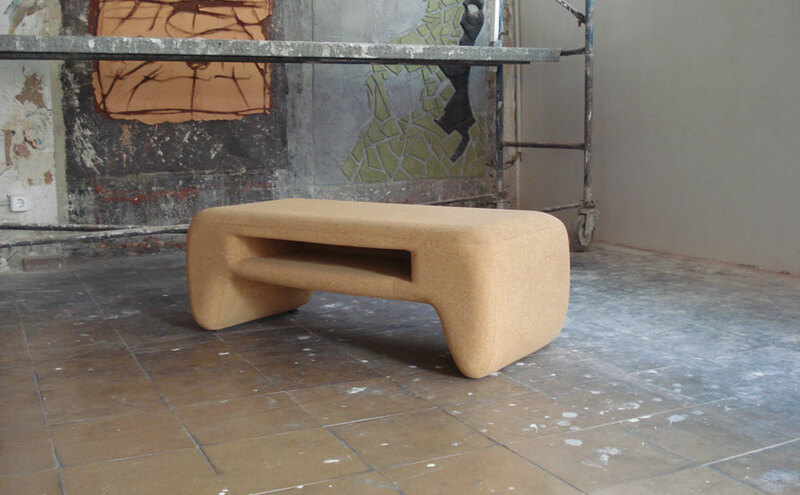 Tupa stool is an original, atypical kind of stool that creates strange expectations as to its function and appearance, It combines the use of cork, a relatively approachable material, naturally coloured, with metal, in shapes and colours that customize the item, giving it a fun, playful character. Is one of the five member of Parkids collection made for Marina68 studio with Cristian Montesinos. This collection was characterized by its duality within the real and imaginary function.. This is an armchair with risky proportions offers a cosy seat with its nice colours and textures and its playful appearance. This is a chair that offers the sitter a pleasant, relaxing experience with distinct Mediterranean associations. 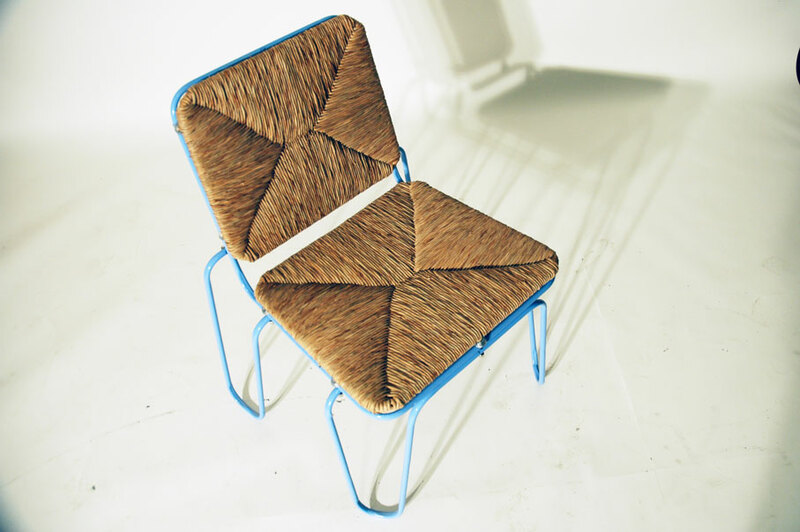 It features an unusual combination of naturalness and warmth in its use of natural fibres, and rigidity and cold-ness in its metal structure.